Dave Jones has new signing Chris Burke ready to replace the injured Peter Whittingham who will be out for a few weeks with a hamstring injury. Other than that I expect the City side to be unchanged from last week. Enckelman, McNaughton, Johnson (R), Gyepes, Kennedy, Burke, Rae, Ledley, Parry, Bothroyd and McCormack. Subs poss from Heaton, Johnson (E), Purse, Blake, Scimeca, McPhail. 7 subs can be named. Players on the fringes of the squad like Darren Dennehy may get a place in the 18. Arsenal are without Walcott, Silvestre, Fabregas and Rosicky (all injured) and Clichy is suspended. Arsene Wenger is likely to play some of his younger players with Aaron Ramsey a possible starter. We could see a front pairing of Bentner and Vela with Adabayor and Van Persie on the bench unless needed. The game is too soon for Eduardo who is back in action with the reserves, you may remember his sickening injury last year at St Andrews. Arsenal (from): Fabianski, Sagna, Toure, Djourou, Gibbs, Eboue, Denilson, Wilshere, Ramsey, Van Persie, Bendtner, Almunia, Adebayor, Bischoff, Randall, Vela, Diaby, Nasri, Gallas, Song. Cardiff v Arsenal says it all. Until we make it to the Premier League and play these teams on a regular basis a tie like this is always going to capture the imagination. All the tickets were snapped up and Arsenal will have over 4,000 fans on the Grange End with 16,000 Cardiff fans filling the rest of the stadium. Should it turn out to be the last ever FA Cup match at Ninian Park then we can't complain at the quality of opposition to give the old girl her send off. The last time Cardiff beat Arsenal in the FA Cup was on April 23rd, 1927. 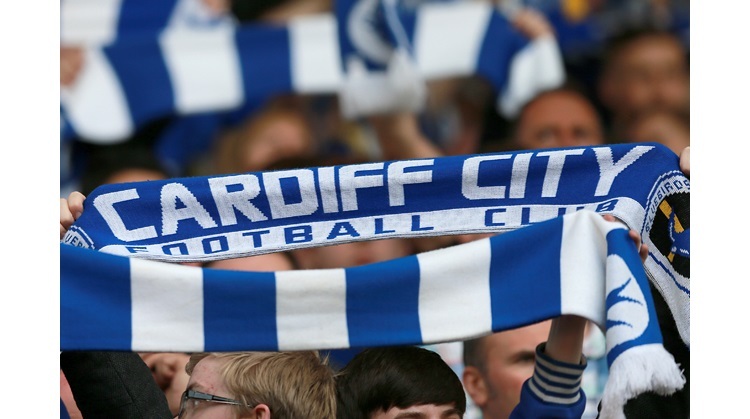 It was the most famous victory in Cardiff City's history. Wembley Stadium saw Cardiff lift the trophy and become the only team to take the Cup out of England. In 2008 it nearly happened again. Portsmouth stopped Cardiff in the final though. No such luck in 2009 for the holders as they were knocked out today by Cardiff's South Wales rivals Swansea City. What a bittersweet moment. Cardiff v Arsenal. Ninian Park, Sunday Janury 25th, ko 1:30pm. Live on Setanta Sports with full match commentary on Radio 5 Live and Radio Wales. Have a great day. Let's hope for a repeat of 2002.